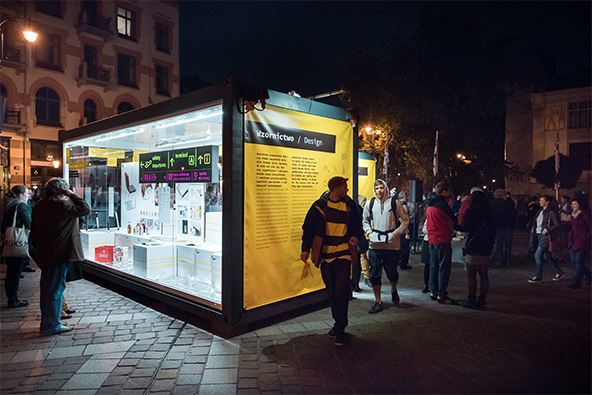 Communication of the golden jubilee of the Faculty of Industrial Design in Krakow, building awareness of the students’ accomplishments over the decades. Focusing on media relations due to lack of time and financial limitations. Creating messages based not only on the Faculty’s activities, but also demonstrating successes of Polish design that result from the existence of the Faculty. Nearly 30 individual interviews related to the golden jubilee of the Faculty of Industrial Design in wide-ranging media (including among others Dzień Dobry TVN TV, Teleexpress, Trójka Polskie Radio, Tok Fm, Gazeta.pl). Over 70 articles on the event. Several dozen reports on radio and television. Golden jubilee of a Polish academy with the strongest presence in mass media in 2014.